The very first time I played Digital Extremes’ third-person shooter title Warframe was shortly before its official PC launch way back in 2013 (I was lucky enough to score a spot in the game’s pre-release beta). Back then, Warframe wasn’t much to look at but it had a lot of potential. I remember liking the game’s fast and fluid character movement system, its unique sci-fi setting, and most of all, its focus on purely cooperative multiplayer (a sad rarity in an industry which tends to prize competitive multiplayer above all). Now, in 2017, Warframe has grown into what is perhaps one of the most unique gaming experiences of the past decade. Not only that, but I’d argue that Warframe is one of the best free-to-play gaming experiences on the market, one which respects its playerbase and, more importantly, proves that F2P games can be popular and profitable without resorting to anti-consumer tactics. A very loose story framework surrounds the world of Warframe, one in which players control members of an ancient race called Tenno who are tasked with safeguarding the Milky Way against various alien threats. While there are story quests and events that players can participate in, Warframe has never been and likely never will be presented as a story-driven game. There’s enough story content and background lore to keep fans of such things invested, but they’re not meant to be the main draw. Instead, Digital Extremes has taken inspiration from game franchises like Blizzard’s Diablo and Capcom’s Monster Hunter and made Warframe into a game where players are always working towards a progression-based goal, often several at a time. 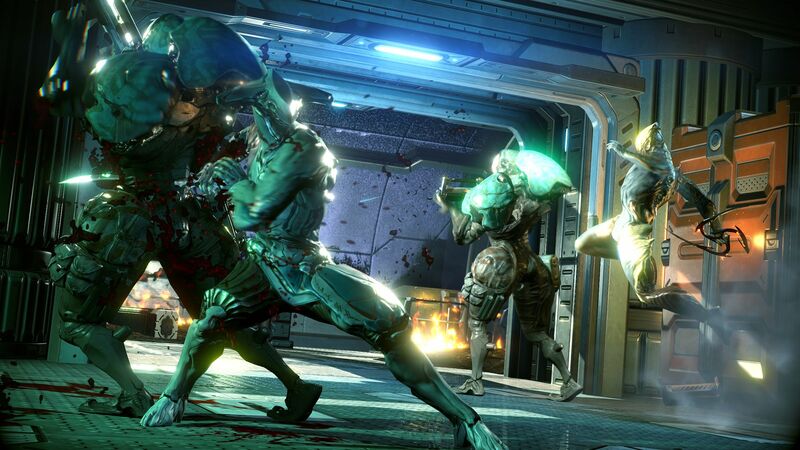 The game’s titular Warframes function as character classes of sorts, and each frame can be leveled up by accruing experience points from defeated enemies and completed missions. Individual weapons, companions, and other character elements can also be leveled up through use, and every level earned for a Warframe or weapon or other character element contributes to an overall “Mastery Rank” which, when increased, unlocks access to yet more weapons and gameplay elements. This creates a nice little progression loop that scratches that old RPG itch and then some. Yes, there is a fair amount of grinding involved, and yes that grinding can be mostly skipped if you spend real money, but spending real money on Warframe’s premium "Platinum" currency never feels like an obligation, and the only items that can only be purchased with Platinum are purely cosmetic. Most other items, including new Warframes and weapons, can also be found and/or crafted via in-game means. Finding out where exactly you need to go to find specific crafting parts does usually require a little extracurricular research, but considering just how much of Warframe can be accessed without having to spend any real money, the grinding never really feels dull or drawn out (especially since you’re most likely making progress on your current Warframes and items while you’re working towards new ones). If there’s one criticism I would give Warframe, one which has plagued the game ever since it first launched, it’s that the game is so deep and complex (at least in terms of its ancillary systems) that it can be quite intimidating for new players. Digital Extremes has attached a lot of odd-sounding sci-fi terms to everything from crafting components to item names to specific mission types, which means it’s easy for a newer player to start parsing through Warframe’s codex and find themselves overwhelmed in less than five minutes. In terms of actual gameplay, Warframe is as smooth as butter, but figuring out how all of the game’s ancillary elements function can be a herculean effort, especially if you’re a brand new player. Still, as far as criticisms go, I suppose “being a little too complex” isn’t so bad, especially for a F2P game. Those who are willing to push through Warframe’s initial learning curve will soon see that the game has a ton of extremely fun gameplay to offer. Thanks to a plethora of post-launch content updates, Warframe now offers activities like structured PvP, player-run clans which have their own dedicated social spaces, an engaging on-rails space-shooting gametype called Archwing, and, most recently, a new open-world exploration space which allows players to roam around freely and engage in mini-games like fishing and mining. In short, Warframe has the potential to appeal to a very wide spectrum of players, all of whom can give the game a go without having to spend a dime. Warframe is admittedly not perfect, but as F2P games go, it is certainly part of the proverbial cream of the crop. It has no random loot boxes, no artificial content gates, and no misleading sales tactics. You can invest as much or as little time and/or money into Warframe and still come away feeling satisfied as long as you’re ok with parsing through ancillary content that doesn’t explicitly explain itself in immaculate detail. 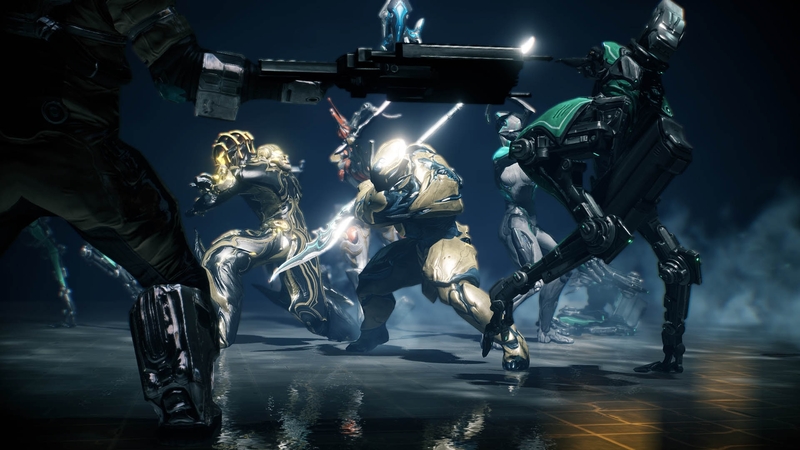 Whether you do a majority of your gaming on PC, PlayStation 4, or Xbox One, Warframe is one game you should absolutely check out if you’re sick of feeling like AAA developers and publishers don’t respect your time or your money even after you’ve spent $60+ dollars on their latest game. 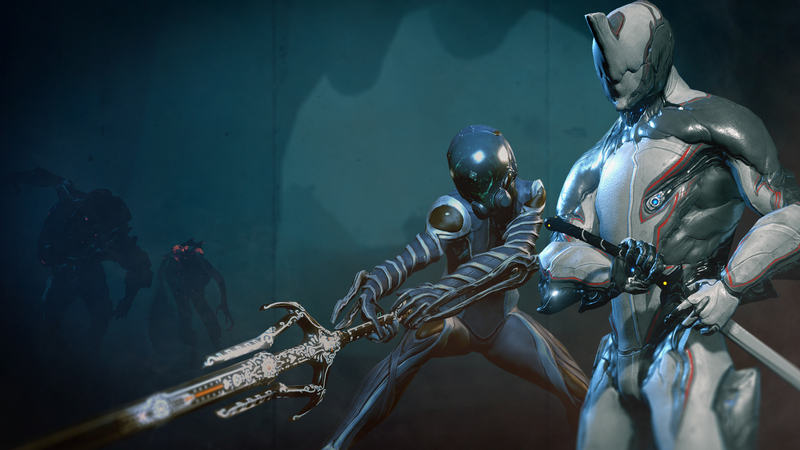 Digital Extremes is wholly committed to making Warframe into an experience that is shaped and guided by the feedback of its players, one which offers a deep and immersive experience for an incredible value (i.e. $0). My dedication towards playing Warframe has come in fits and spurts, but I’ve never once regretted the time and money I poured into it. If anything, I’d say that’s one of Warframe’s greatest strengths: it offers you a AAA gameplay experience but never forces you to pay a AAA price. In my book, that’s the sort of F2P experience that the gaming industry could use more of.